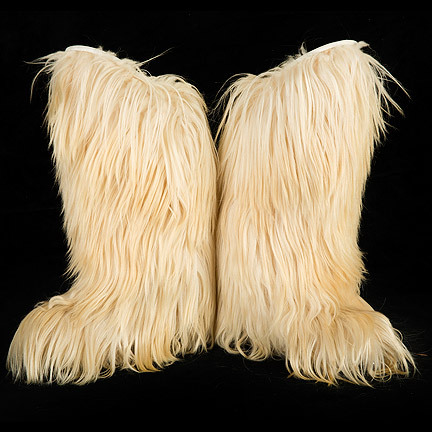 These fur boots were worn by both of the characters “Austin Powers” (Mike Myers) and “Felicity Shagwell”, (Heather Graham) in “Austin Powers: The Spy Who Shagged Me”. 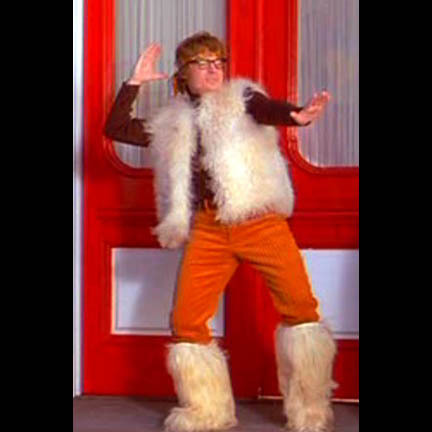 The knee high boots are covered in long white faux fur and have rubber soles. 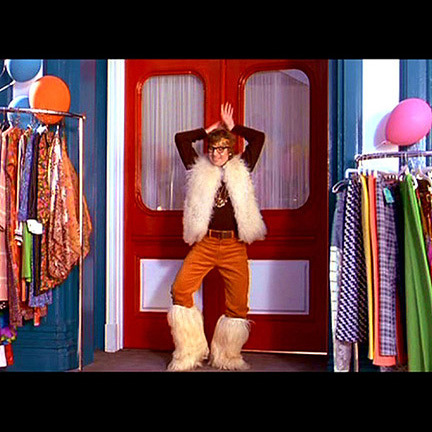 Both characters wore these boots notably during the musical montage sequence when Austin and Felicity both go shopping and dress up in a variety of different costumes and try on each other’s outfits. 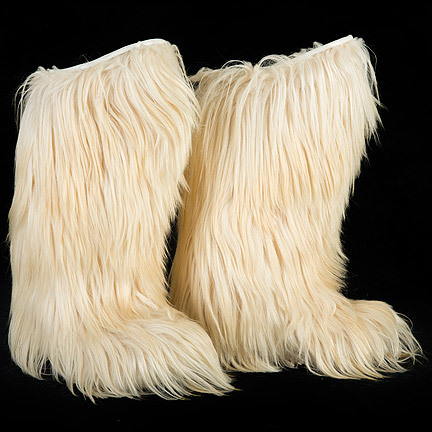 The boots are in very good screen used condition and are accompanied by a letter of authenticity from the costume house. “Austin Powers: The Spy Who Shagged Me” was the second film in the immensely popular Austin Powers franchise. The movie was nominated for an Academy Award for Best Makeup in 2000. Mike Myers won a Blockbuster Entertainment Award for Favorite Villain for his character “Dr. Evil”, and Heather Graham won the award for Favorite Actress (Comedy) for her performance in the film.